A high-quality and eco-responsible build, the three-storey (upper ground floor, upper floor and attic) Résidence Champel Terrasse is south-facing benefiting from carefully chosen materials. 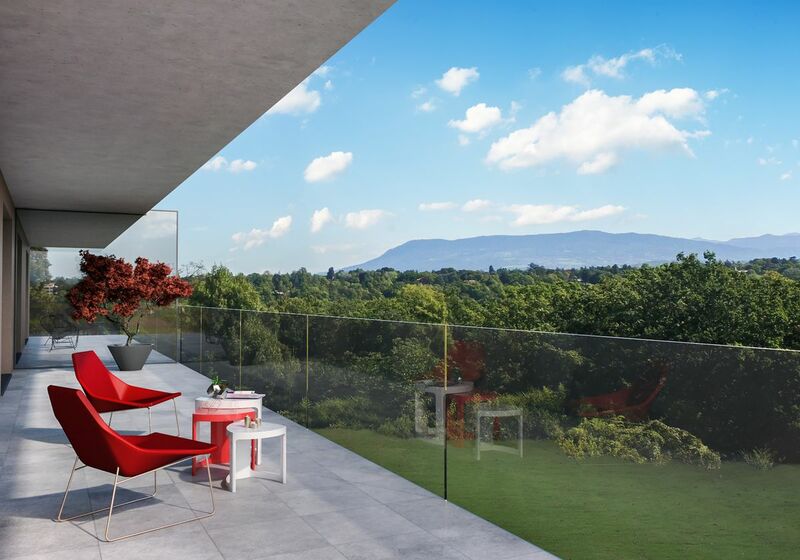 The 6 apartments that make up the new development have beautiful terraces, as well as vast bright rooms with picture windows. 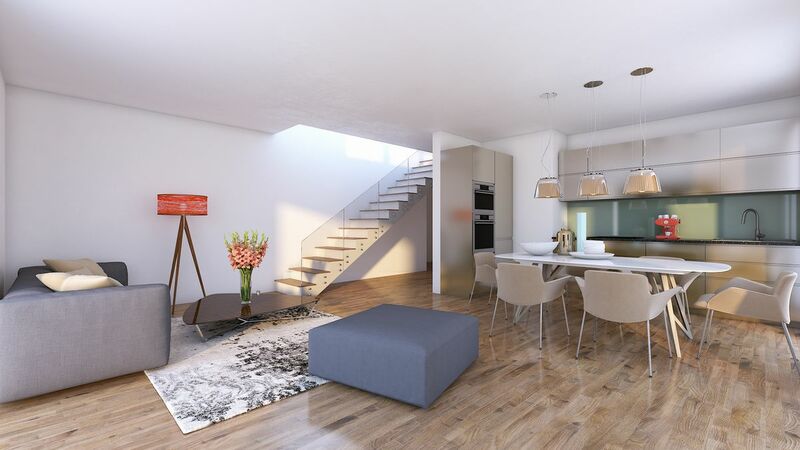 On the ground floor, you will find two 5-bedroom duplex apartments (201 m² & 205 m² living space), with a garden and terrace. 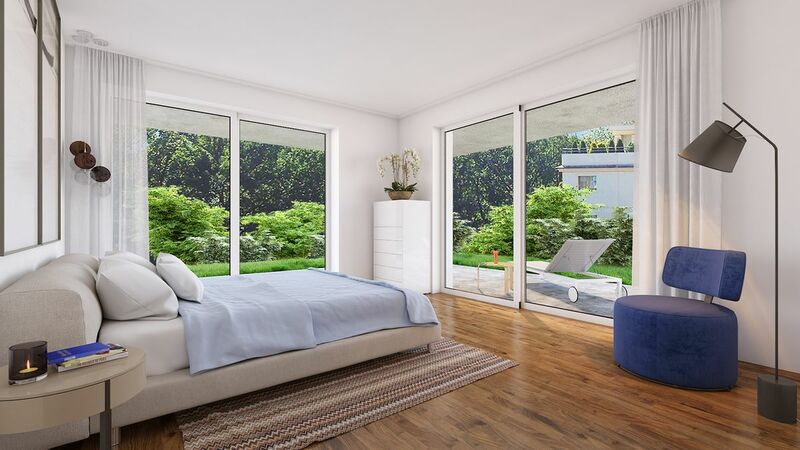 The last floor offers 2 attics (159 m² & 161 m² living space) with access to a private roof terrace of 90 m². The Résidence Champel Terrasse is nestled in a large quiet park, with an area of nearly 3,500 m². 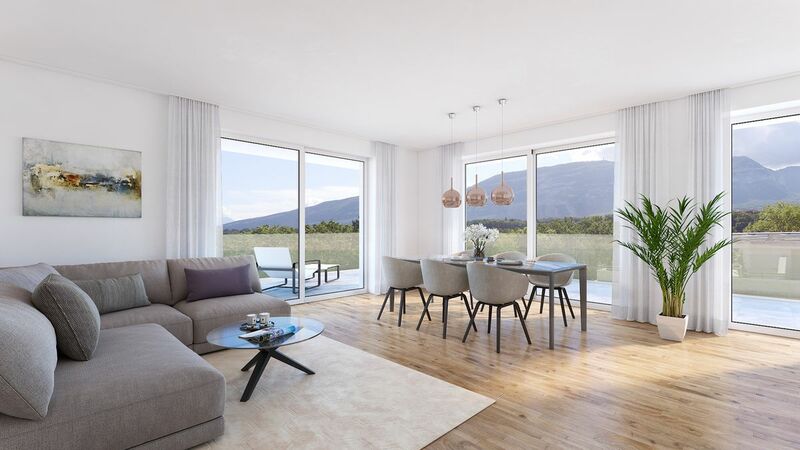 Housed on the south-side of the Crêts de Champel hillside, with woodland going down to the banks of the Arve, this development offers the advantages of an urban life, without sacrificing the rural setting. 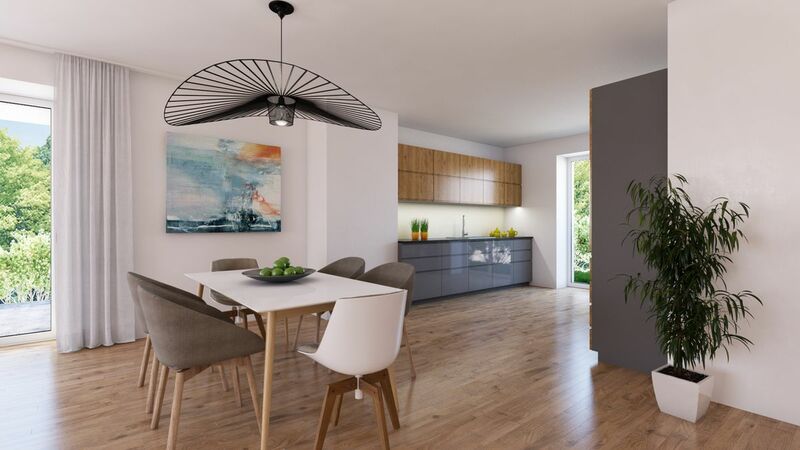 Residents will enjoy a superb panoramic view of the forest along the river as well as direct access to the latter, perfect for summer swimming. 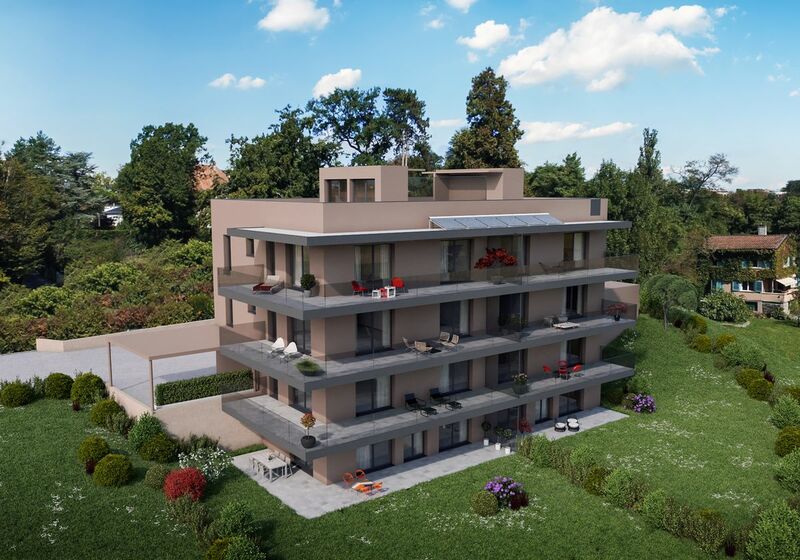 Also close to the universities and renowned health centres of Geneva, access to the new residential project is private and departs from chemin Édouard-Tavan. Several sports clubs are nearby, among which the Drizia-Miremont Tennis Club, which is a 10-minute walk away. Ideal for families with children: the Peschier / Crêts-de-Champel school is 300 metres from your new home, the Lycée Rodolphe Töpffer is 10 minutes by foot, as for the Le Corbusier school, it is located a little over a quarter of an hour’s walk away. Located on the left bank of the Geneva Canton, only minutes from the city centre, Champel is a charming and truly residential district. 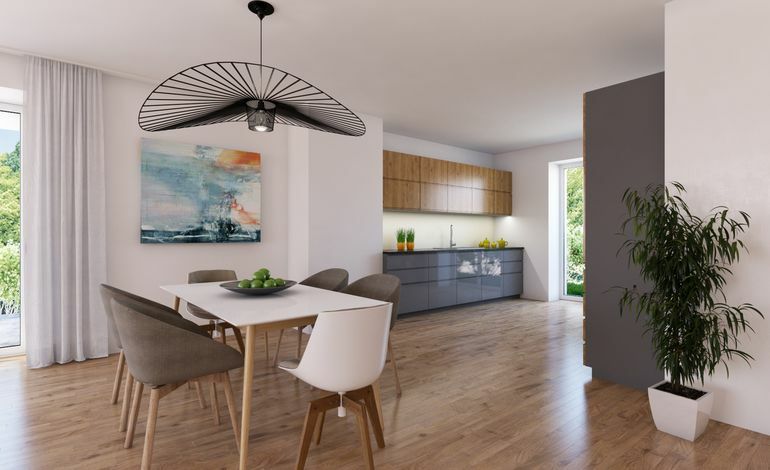 Quiet and leafy, washed by the waters of the river Arve, this residential location is home to one of the region’s largest urban park areas: Bertrand park. A public garden dearly loved by the residents of Geneva, it offers an area of 110,823 m², perfect for jogging, picnics or walks. Champel also plays host to numerous companies in the services sector, as well as restaurants, a variety of cafés and tea-rooms, not to mention all the usual amenities such as supermarkets, chemists, banks, etc.